As peak temperatures are going up with every passing day, riding bikes in India will become a tougher than usual task for sure in coming weeks. 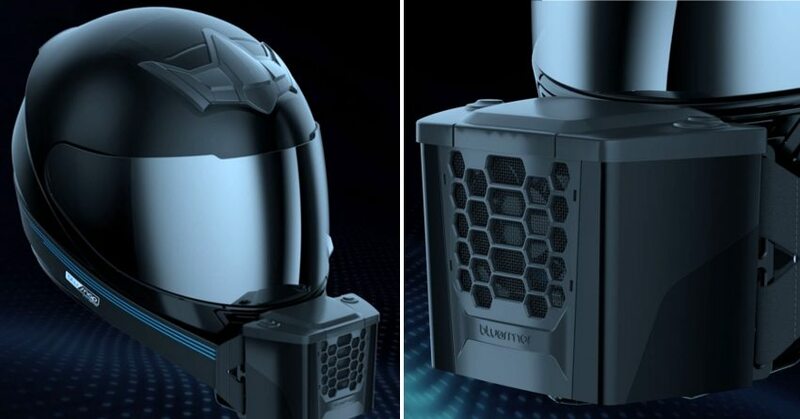 By keeping this situation under consideration, BluArmor Helmets are here with their all-new BluSnap air cooling device that can keep the temperature inside the helmet lower than usual. This exclusive product only has one condition to work and that comes out to be a full face existing helmet on your side. 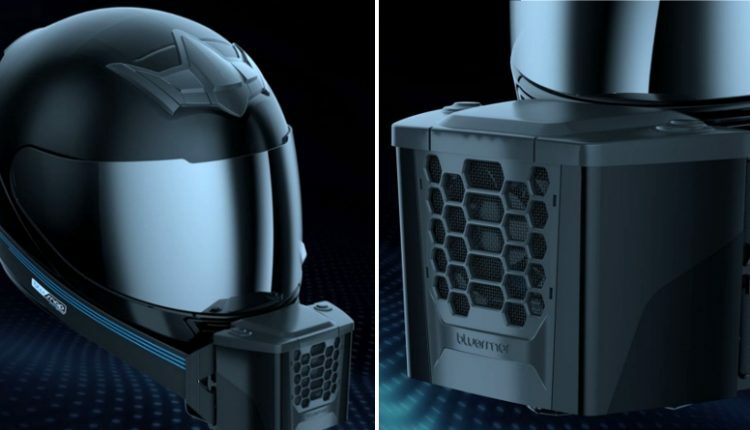 Working with the same principle as your room cooler, evaporation causes the cooling effect when air passes through this device and enters the helmet. 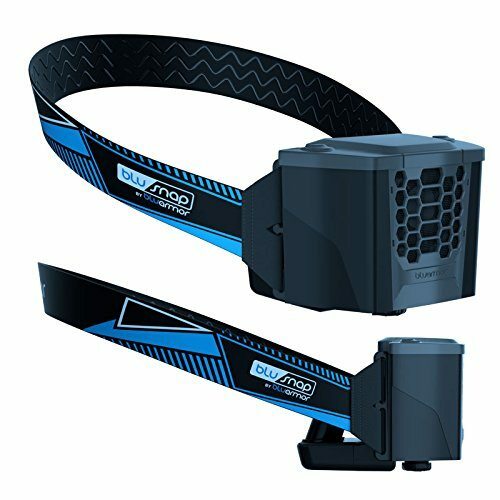 It can be fixed on the helmet through elastic straps that are available in five different designs. 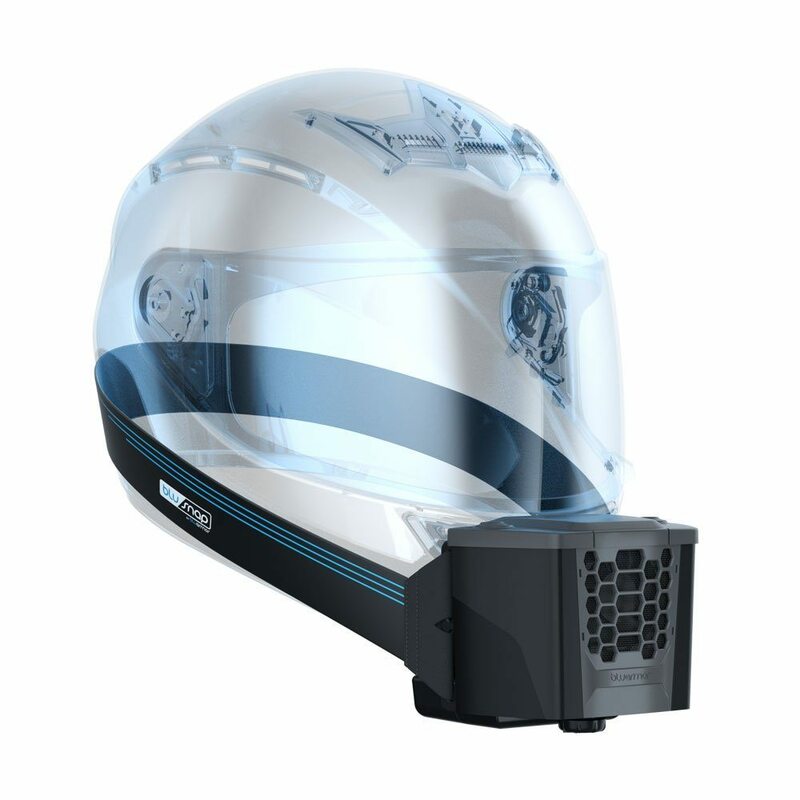 The product stays in place for legal Indian road speeds while adventure style helmets may not get the desired fitting due to the sharp pointing front area. BluSnap stays out of your line of sight but weighs considerably high at 390 grams. The placement in such a manner means your helmet can create slight downward pull at higher speeds. Water reservoir of the device is 60ml while wearing this as pillion creates more chances of bumping into the rider’s helmet. BluSnap can be charged through a regular USB port and one charge can help with almost 9 hours of use. Refilling the water is required after 1 hour of use. 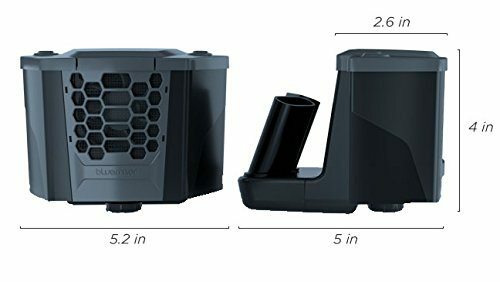 They suggest drinking water to be added here as that helps the filter stay clean for longer. It can be started or stopped with just one button press. Rubber flaps secure both the water area and charging port so that leakage and dust never ruin your experience. The gentle push of cool air helps you keep the visor down at all times. The product is priced at INR 2299 and thus, makes it another interesting addition that buyers can consider for easy riding.